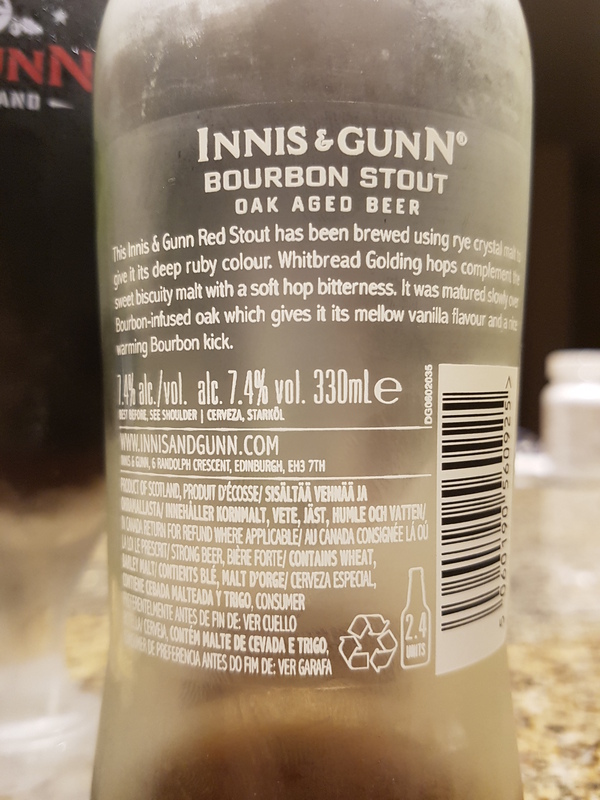 Bourbon Stout – Innis & Gunn (Edinburgh, Scotland) | Justintoxicated. Visual: (cellared for 2 years). Pours very dark mahogany brown with a smallish head, a thin uneven layer of retention, close steady streams, a half film of paper thin lacing. 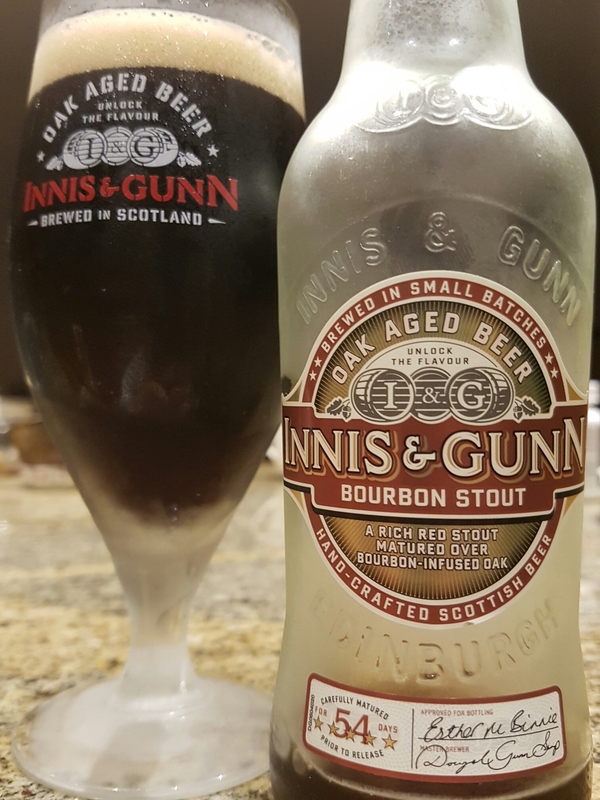 Summary: Solid pronounced bourbon barrel nuanced flavour and again, their signature malt sweetness is present, becoming cloying about halfway through the bottle. Decent, but not something I would have again.